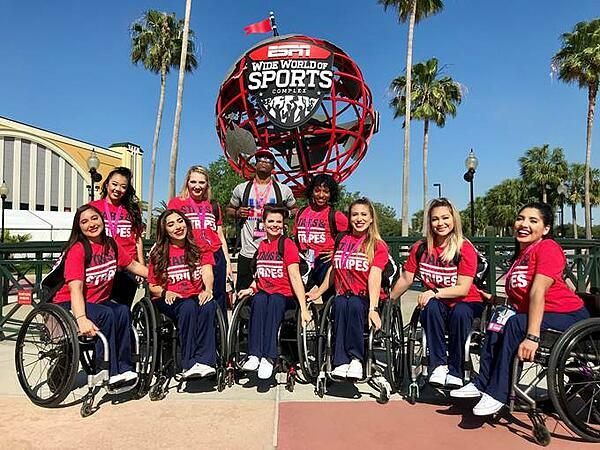 Today, we are excited to introduce these young dancers and share their unique stories with you.The elite wheelchair dance team ‘The Rollettes’ are a widely known phenomenon that promotes womem’s empowerment and individuality through dance. From performing in countless events across the nation to hosting their very own dance camp the ‘Be Boundless’ Camp for young girls, the Los Angeles based dance group never fall short of highlighting health and fitness being more accessible. The Rollettes aspire to provide a platform for people with disabilities to discuss how to live a healthy fulfilling life. This mantra is exemplified through their Lil Sis Program where all the girls are united by their similarities, celebrate their differences, and join together in a sisterhood and celebration of life’s gifts. The Rollettes live out their mission of ‘Women Empowering Women with Disabilities to Live Boundlessly and Shift Perspectives Through Dance’ and strive to encourage women all over the world to carry themselves with that similar strength and confidence. What is so unique about this group of young women is that each and every woman that make up the team, including the Lil Sis team, has their own voice and unique style. They all bring something different to the table but when they dance together those differences no longer matter and they become one. The group’s fitness and health guru, Maria Rabiano, also known by her Instagram handle @MariaMuscle is a growing adaptive fitness influencer. She is a passionate athlete that has used her ever-growing platform on social media to encourage and empower others do to their best, stay active, and challenge one another. Her YouTube channel and her fitness challenge have captivated a fairly large audience around the world to get together and motivate one another. Aside from taking dance classes and creating workout videos, you can follow the Fitness Challenge she created on Instagram. This 4-week interactive challenge promotes health and fitness being more accessible and allows people all over the world to come together and push each other to be their very best self. 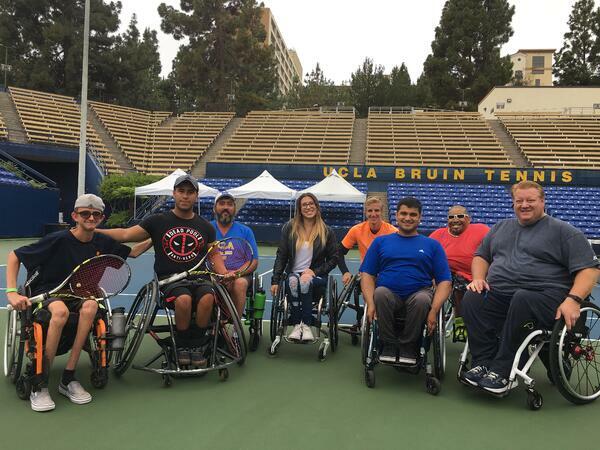 Through trial and error, wheelchair workouts were created and focused more on what you can do and the abilities that you do have. Each week was broken down into a specific category to focus on from cardio, core strength, upper body, and the transfer challenge. The transfer challenge reached people all over the world and allowed them to connect and share their own personal challenges and victories with all different fitness levels, injuries, exercises, etc. It reached over 150 posts on Instagram and can only continue to grow and inspire others. We can’t wait to see what else Maria has in store and will be keeping up with her and the rest of the girls on their fitness journeys. 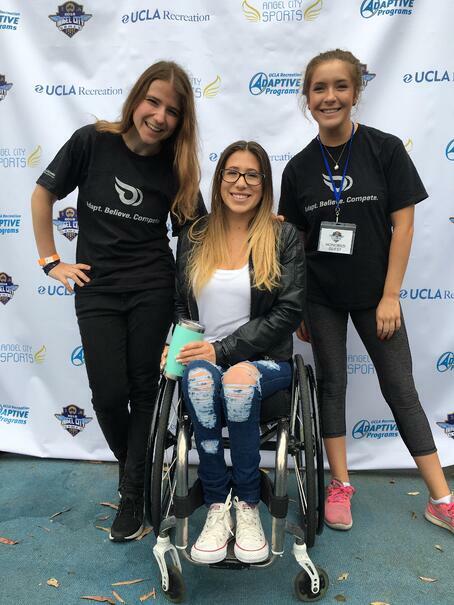 Christina has also extended her world travels to coaching a children’s wheelchair basketball clinic across the world. She started playing wheelchair basketball at the age of 13. For Christina, this was the first time she got to experience sport with other players like herself and has gone on to coach wheelchair basketball to children from 5-13 years old. Although this trip was the least accessible, barely had any equipment, and not to mention the huge language barrier, they were able to understand each other on an entirely different level because they understood the individual challenges they all faced. Christina believes she is even more appreciative of traveling than some able-bodied people because of the challenges she has to overcome. She finds it more rewarding to look back at all that she has accomplished and uses it as motivation to go out and see more of what the world has to offer. While we didn’t get a chance to meet Maria and Christina in person yet, we did get to meet the founder and team director, Chelsie Hill, a talented dancer, who proves to be an inspiration to not only her teammates, but to so many other individuals who may or may not be involved with dance. Instilling confidence and being a fearless leader is no easy task, but Chelsie does it effortlessly and with grace and we were excited to witness that at the Angel City Games this year in Los Angeles. “I felt like a caterpillar before I met Chelsie and the Rollettes,” shared Christina, “but now I feel like a butterfly. Through the Rollettes, I learned to become the woman I am today”. Both Christina and Maria are grateful for the opportunity to know Chelsie and feel inspired by her as well as their other teammates. The Rollettes’ resilient mentality and the desire to do good in the world aligns so much with our mission “To Do Well by Doing Good,” which is why it was not a difficult decision for us to team up with the Rollettes on various occasions in the past year. We too strive to push boundaries and emulate a sense of greater pride and confidence in everything we do and with everyone we serve. We are honored to support the Rollettes as they aim to create a “boundless” world and inspire others to get out and dance. 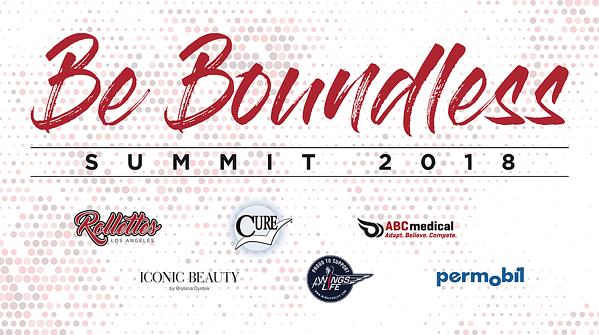 We cannot wait to be part of the Be Boundless Summit where the whole community comes together and some special women are recognized, such as Victoria Arlen, Ali Stroker, and Auti Angel, to name a few. Special thanks to our guests Maria and Christina for taking the time to answer our questions. It was a great pleasure meeting you girls!